Party Poker, which launched in 2001, is one of the original online poker sites, and since that day its superb software has been downloaded more than 30 million times! 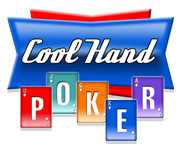 Party Poker is the largest non-U.S. serving online poker site in the world and the second largest overall. Party Poker is really a name and brand you can trust. In March 2011, PartyGaming and sports betting giant bwin merged to create Bwin.Party Digital Entertainment. The newly formed company became the world’s largest publicly listed online gambling company. So Why Should I Play At This Particular Poker Room? 100% First Deposit Bonus – Up To $500 FREE Cash! Play the $1.5K Freeroll! You could pocket a pretty penny. Play for a slice of the huge prize pool in our weekly $200K Guaranteed Sunday tournaments. Play for your share of $5,000 every week with four easy routes into our Bankroll Booster final. Party Poker offers an in-house loyalty program that allows players to earn up to 50% rakeback equivalent in bonuses and cash prizes. Party points can be earned at any of Party Gamings products, PartyCasino.com, PartyBingo.com, PartyBets.com, PartyGammon.com and of course Party Poker. Two points are earned for each $1 paid in cash game rake or tournament fees. Once you hit Palladium Elite bonuses can be purchased at a rate of $20 for every 100 points you spend. This is the equivalent of 50% Party Poker rakeback at the highest VIP level. The chart below illustrates the points that can be used to purchase either cash (straight to your account) or bonuses (which need to be cleared). Despite having to play off bonuses, players will see higher returns with the bonuses. Players from the US are not accepted.